Join me on the river. Book now for Spring/Summer 2019. 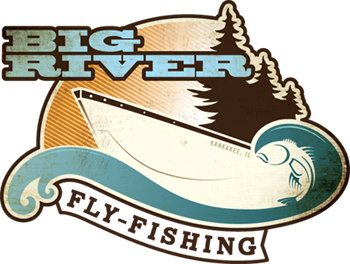 Call 815-263-2776, click here to use our contact form, or email me directly at willwinans@bigriverfly.com today to book your trip. 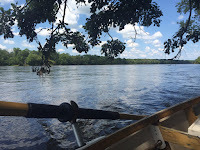 Just over an hour's drive from Chicago, through the cornfields of Illinois, runs a particularly scenic and well-preserved stretch of the Kankakee River. 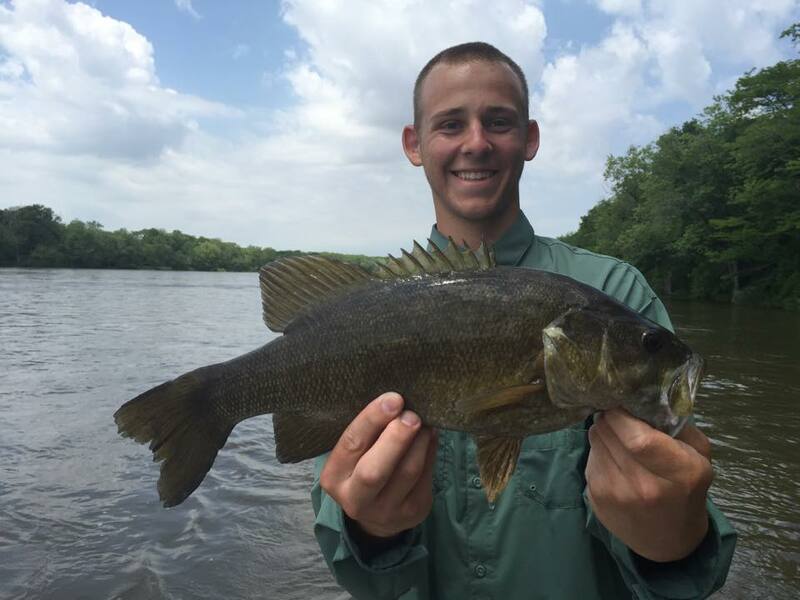 Will Winans of Big River Fly Fishing specializes in drift boat trips through this productive smallmouth bass fishery. waiting for has finally arrived. This year's spring months gave up some very productive river fishing on the Kankakee. 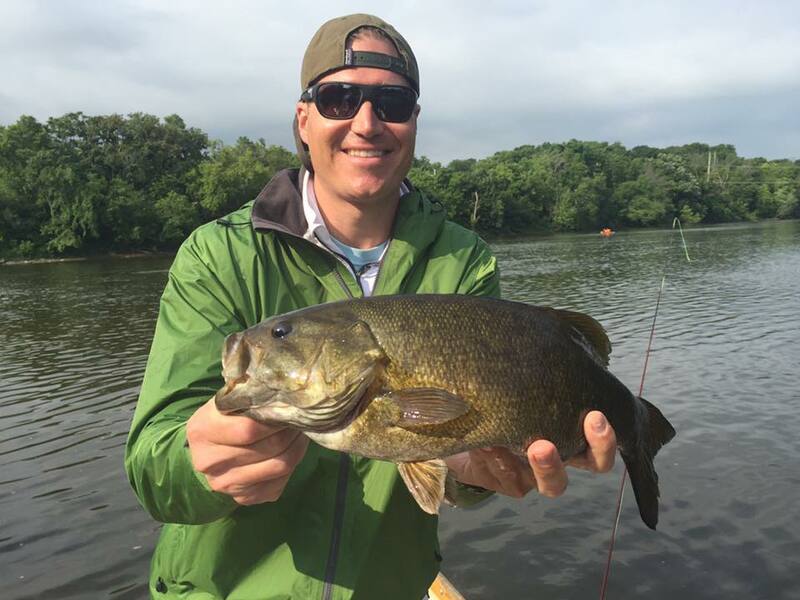 Beginning in March, into April, May and early June, the Kankakee remained very stable, yielding some incredible days of streamer fishing with good numbers of fish to the boat and plenty of 18" plus smallmouth bass. Enter mid-June and massive rain events, one after another, brought the Kankakee to historically high levels. While the Kankakee raged over it's banks for more than a month, other venues shined. 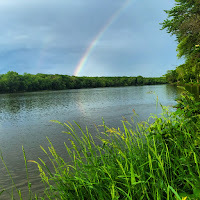 Through late June and most of July, I ran dozens of trips on the scenic Fox River, and a few other water systems in northern Illinois. With big water being a theme throughout the first half of my season, I've witnessed countless flashes of bronze through stained water on large bright flies. And now, with levels dropping on the Kankakee and visibility increasing, it's time for the summer smallie fishing I know from years past. I've been back on the Kankakee for a week now. The wooded banks of the river are greener than I've ever seen in late July. 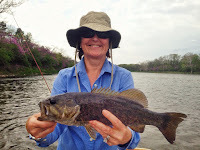 Big-shouldered smallmouth are eager to eat flies, chasing baitfish patterns off the shorelines and actively feeding on crayfish, dragonflies and other aquatic insects. Top water fishing will only increase from here.Dates are filling fast for August and September but many are still available. 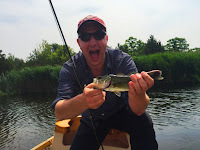 I am expecting to have solid fishing through October this season, with the late onset of summer conditions. Click here or call to get a date on the calendar. Friends of Langham Island, a group of folks dedicated to preserving a fascinating and unique ecosystem on a small island within the Kankakee River State Park, are hosting an open work day this Saturday, August 1st at 8:00 am. The group will work on removing invasive species from the island, while observing native plants like iliamna remota, a perennial wildflower that is solely endemic to this island, growing nowhere else on earth. A native plant sale will also take place, just a few steps down the road, along scenic Rock Creek. Click here for more details. 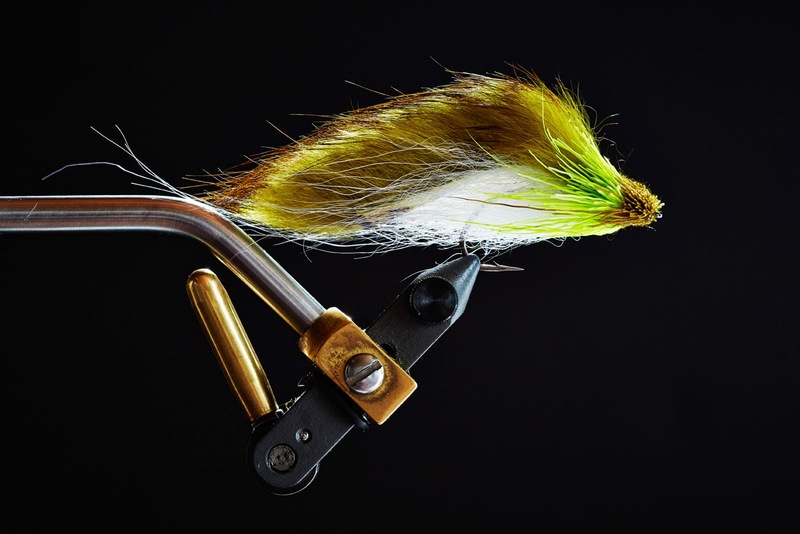 Killer deal on a new smallmouth rod:Chicago Fly Fishing Outfitters is offering reduced pricing on Redington Vapen fly rods. These sticks are a great value, track well and throw out some beautiful loops. From the start of Big River Fly Fishing, it's been a big goal of mine, as a guide, to promote and introduce the quality of fly fishing that we have here in northern Illinois, within a short drive from Chicago. 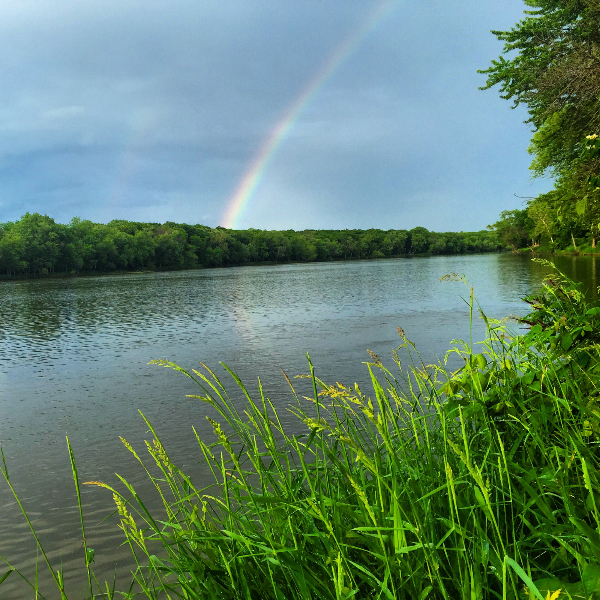 For a state not often pegged as a fly fishing destination, Illinois possesses some shockingly beautiful rivers and healthy, un-pressured fisheries. Pay a visit to the guys and gals at Chicago Fly Fishing Outfitters, Dupage Fly Fishing Company in Naperville and Orvis in downtown Chicago. At these shops, you'll encounter folks who are extremely friendly, knowledgeable and passionate about the sport of fly fishing. They're willing to share what they know about local fishing and they're keeping the fly fishing presence strong in Chicagoland. I hope you all are getting in some quality water time this summer with family and friends. A huge thanks to all who've been out to share time on the river with me and for the continued interest. Here's to an epic August/September/October on the river! And on the homefront, to make the final half of this season even more of a landmark, my wife Molly and I are expecting our first baby, due this December. That gives us until spring before casting lessons begin, maybe rowing too. We couldn't be happier about the new addition to our family! Join me on the River. 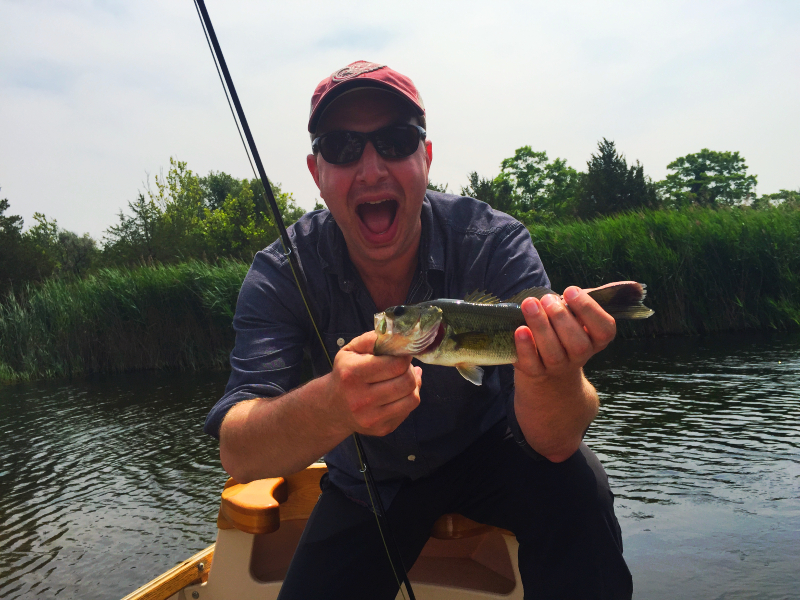 "After having waded near bridges on the Kankakee for a few years, floating it with Will was a revelation. The river felt like another world — gorgeous and peaceful, except for the shouts of "Fish on!..." "Will is awesome. I've known and fished with him for years... when he introduced me to the Kankakee river I was amazed that such a phenomenal fishery existed so close to Chicago..."
"Will possesses a deep knowledge of the Kankakee River, its geology and its history, and more importantly, a deep knowledge of where to find the smallmouth. We appreciated the fact that Will individualized his on-the-water instruction..."
"Will, is a knowledgeable and patient guide. Whether you're new to fly fishing or an experienced angler. He grew up on the Kankakee river and knows the river in incredible detail..."